We added a podcasting studio! You and your business have story to share. Now you have no more excuses. Hit Record. 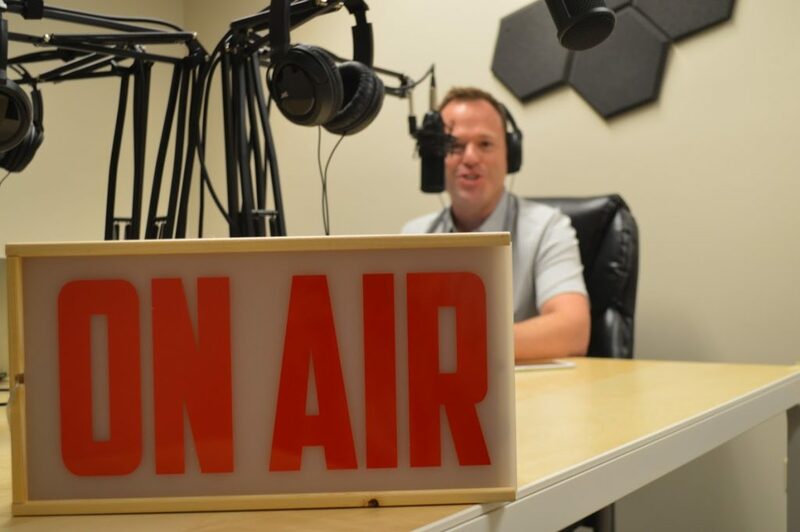 Last month we launched a new podcasting studio that is open to members and the public. We worked with a professional sound engineer (Thanks Ryan Estes of TalkLaunch!) and the good fellows at Guitar Center to design a professional 4 mic set up and mixer so you can have a crisp and clear sound. Together we designed the system to be super easy to get started and after a quick 10 minute training you can start recording your new podcast. You just need to bring in a laptop with a USB plug. When we started brainstorming our new podcasting studio we wanted it to be affordable so a silly high price isn’t something that holds you back from creating something amazing. So we made it $15 an hour, the next closet option is $60 an hour. At this price the podcasting studio can be a story telling outlet for everyone that has an idea and wants to get started. That’s why the slogan is ‘No More Excuses. Hit Record.’ If you are a member of Creative Density you get 3 free hours each month. You can book the new podcasting studio online. Coworking Curious?Creative Density is on the Denver Coworking Passport! How to pick your favorite Denver coworking space?